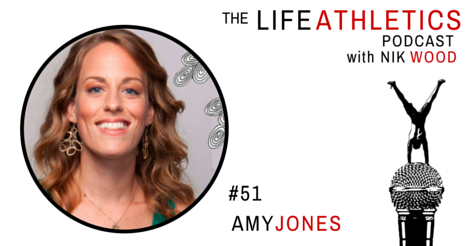 Name: Amy Jones Today’s guest Life Athlete is Amy Jones. Amy is the founder of two websites: The first, mapyourprogress.com offers drawings Amy has created to help humans visually track their progress toward a goal by coloring in parts of the image as they take steps forward. The second, sanctuwherewe.com is an online safe haven where humans can safely and anonymously share things that are hard to talk about. -Listen to the good ideas that you have and write them down. or get Siri to send you emails from yourself. Greatest area of strength: The ability to speak my truth and to be vulnerable.